While meeting with the Platte Basin Timelapse (PBT) team for the first time last fall, I realized the magnitude of their efforts to catalog the movement of water, temporal change in various habitats, and diverse organisms that reside in the Platte River Basin. Little did I know that this meeting would significantly affect my future research and conservation interests. Since I was a young Boy Scout, I was enchanted by the natural world and, being a Millennial, deeply connected to the digital world. PBT provides the opportunity to fulfill several of my passions, including studying wildlife in the Great Plains through the use of cutting-edge technology. I am currently a wildlife biology major at the University of Nebraska at Kearney (UNK), where students conduct independent research with a faculty mentor as part of their undergraduate experience.  For my research project, I am working with Dr. Mary Harner and the PBT team. One of my roles involves maintaining wildlife audio recorders in central Nebraska as part of a collaboration among UNK, PBT, and Purdue University’s Center for Global Soundscapes to pair audio and visual data. Combining these mediums provides a broader representation of the region’s biodiversity and a novel avenue for telling the story of the Platte River Basin. Spring was ripe with opportunities to learn and experiment with different techniques to record sounds of the Platte Basin. 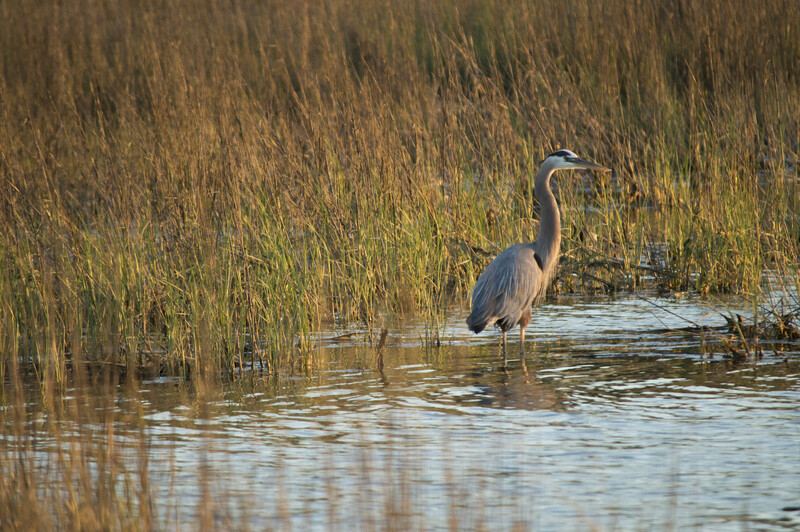 Our primary objective was to record sandhill cranes (Grus canadensis) and other sounds of spring at two locations: Mormon Island and Rowe Sanctuary. I worked with Ben Gottesman, a doctoral student at Purdue, setting up and maintaining the audio recorders. This included experimenting with several versions of windscreens for the microphones to hopefully outwit the relentless Westerlies while preserving audio quality. 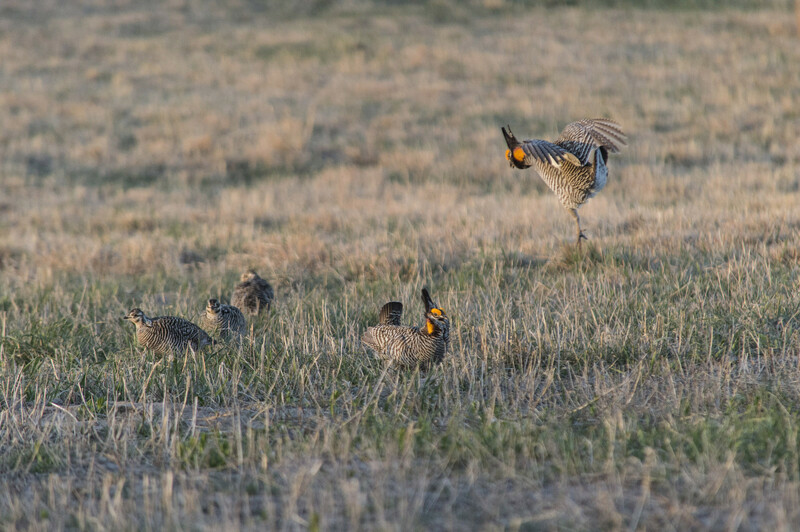 After a few weeks of testing the recorders, we were set up to systematically document the sights and sounds of the spring migration and budding prairie in central Nebraska. 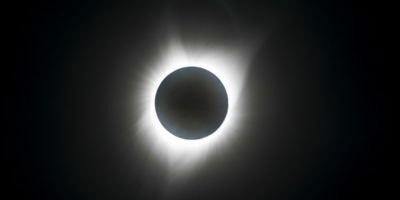 I also spent time learning how to create time-lapse videos and working with the sampled audio recordings. These efforts culminated in several compositions that furthered discussions about future collaborative efforts to combine audio and visual data. In addition to experiences along the central Platte River, I had the opportunity to visit southern Texas with my UNK ornithology class. 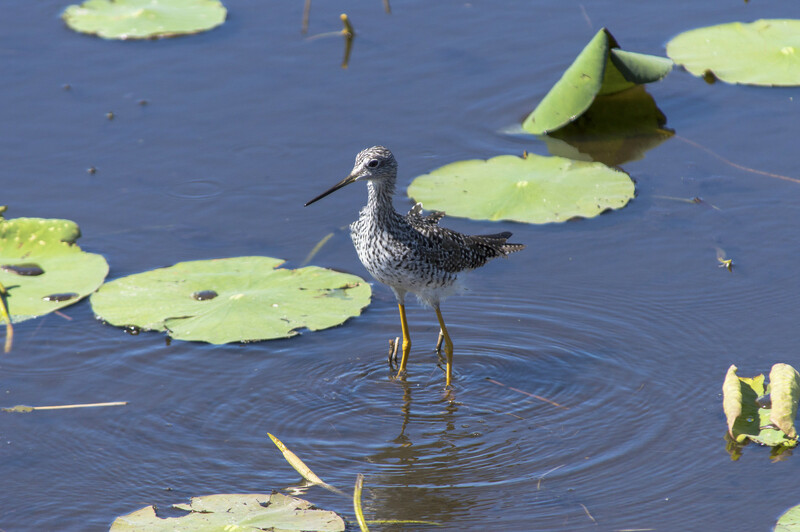 In late March, we traveled to Aransas National Wildlife Refuge and Bentsen-Rio Grande Valley State Park to view neotropical birds and the overwintering grounds of many temperate species that migrate through central Nebraska. It was a privilege to see many seasonal residents before and during their northward expedition. During this trip, I practiced identifying birds and experimented with a handheld audio recorder. Before we set out each day, I placed the recorder in a woodland, wetland, or coastal environment near our campsite while we trekked around the refuge or state park. These recordings gave a glimpse of the region’s biodiversity that was not seen by the average visitor. 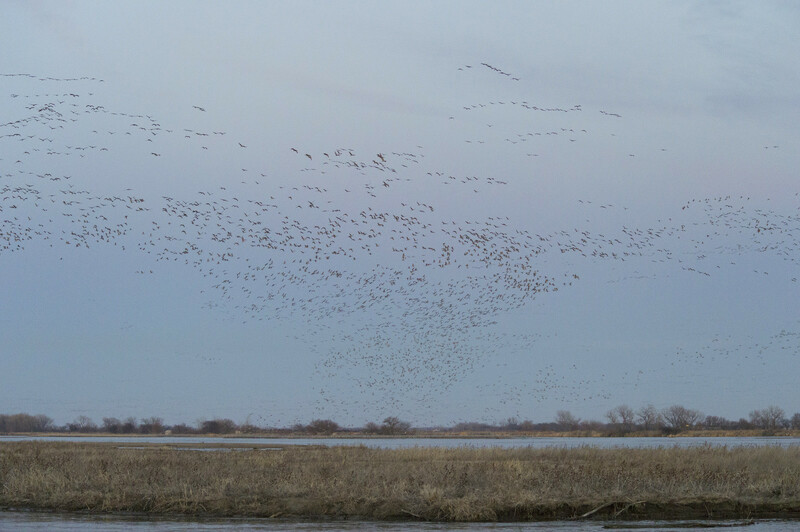 In April another opportunity arose, this time to visit the Switzer Ranch near Burwell, Nebraska, to view nonmigratory birds. I spent two mornings in blinds viewing greater prairie chicken (Tympanuchus cupido) and sharp-tailed grouse (Tympanuchus phasianellus) leks, witnessing some of the most energetically and temporally expensive mating rituals in the region. As you may have guessed, we placed recorders at both leks in order to capture the various sounds emitted, especially the diverse palate of the battling males. 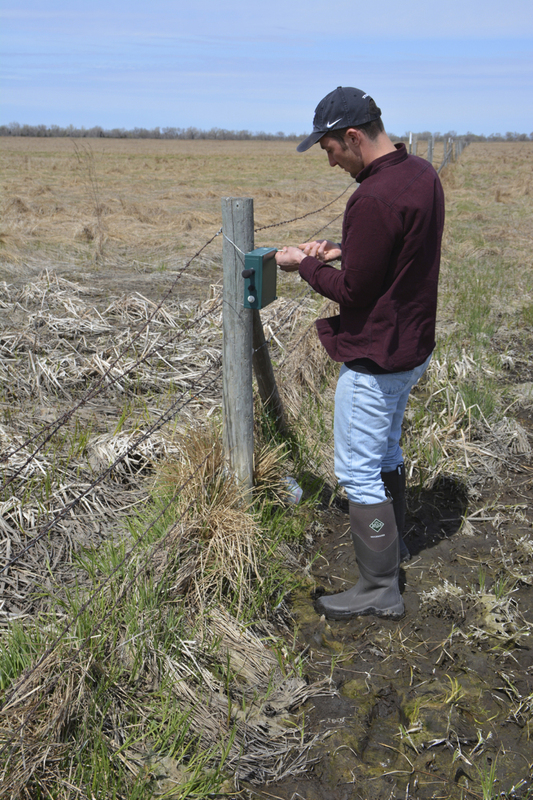 Later in the semester, Dr. Harner and I experimented with placing acoustic recorders in other habitats along the Platte River, including a riparian woodland, open grassland, and floodplain, to examine the associated wildlife and broaden our audio database of the region. All of these recordings may be used in future educational and research-oriented activities, as well as serve as historical records of wildlife in the Platte River Basin. Greater Prairie Chicken - Greater prairie chicken lek near Burwell, NE. As for this fall, I will be analyzing North American beaver (Castor canadensis) behavior using imagery from Michael Forsberg and the PBT team gathered from a beaver lodge on land protected and managed by the Crane Trust. 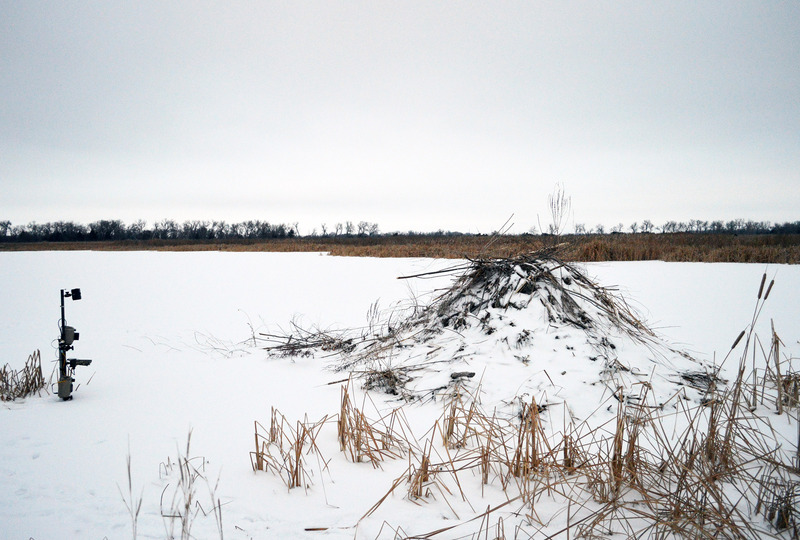 For the past year, there has been a variety of cameras monitoring different aspects of a beaver complex in the Platte River Basin, including the lodge, dam, movement corridors, and sole opening in the frozen pond last winter. The imagery will be used to analyze beaver behavior, as well as the ecological and commensal interactions their structures provide throughout the year. 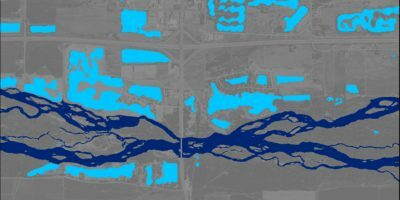 The significance of the Platte Basin Timelapse project extends far beyond the breathtaking imagery of water throughout the river basin and is applicable for scientific research on the behavior and natural history of native and migratory species. This effort will inevitably blossom into future studies using the vast catalog of time-lapse imagery and audio data compiled through this collaborative effort.